What is it about a garden that has such strong attraction for so many of us? 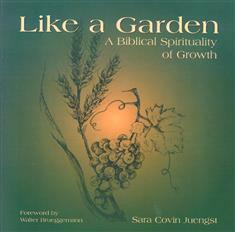 In this beautifully illustrated book, Sara Covin Juengst answers this question as she explores the way the metaphor of the garden is used in the Bible. She looks at how the various garden images are used to convey ideas of God's providential care, our responsibility to steward the earth, the discipline of the Christian life, what it means to bear fruit, and the harvest waiting for us in the "new heaven and earth." She also discusses ancient gardening routines, such as plowing, planting, and pruning, to shed light on the significance of the symbolism used in biblical passages that use these images.